Pale yellow liquid with a light fresh lemon, herbaceous fragrance, see more info. Blends with: Lavender, Geranium, all citrus. Uses: massage, skin care, diffuser, oil vaporiser, oil burner. 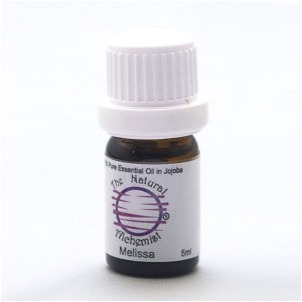 Melissa can be one of the most adulterated oils, most commercial melissa contains lemon, lemongrass or citronella. Used in: cosmetics, moisturisers, fragrances, bath oils, toiletries, perfumes, hairsprays, insect repellents. Safety Data: non-toxic, possible sensitising and dermal irritant, use small amount well diluted. Care must be taken as Melissa is known to be one of the most frequently adulterated essential oils. External use only, do not swallow.